Lights, camera, halfpipe. Whoa. 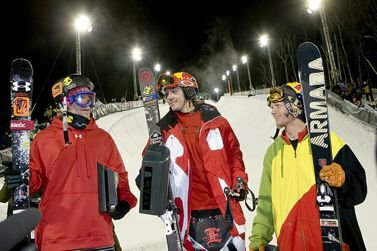 To say the men's skiing superpipe finals went off would be a drastic understatement and I'm pretty sure there is not a journalist in the world that could properly recap and capture the vibe that was tonight's superpipe final. With the massive crowd gathered at the bottom of the pipe screaming their faces off, the best pipe skiers in the world went to work. 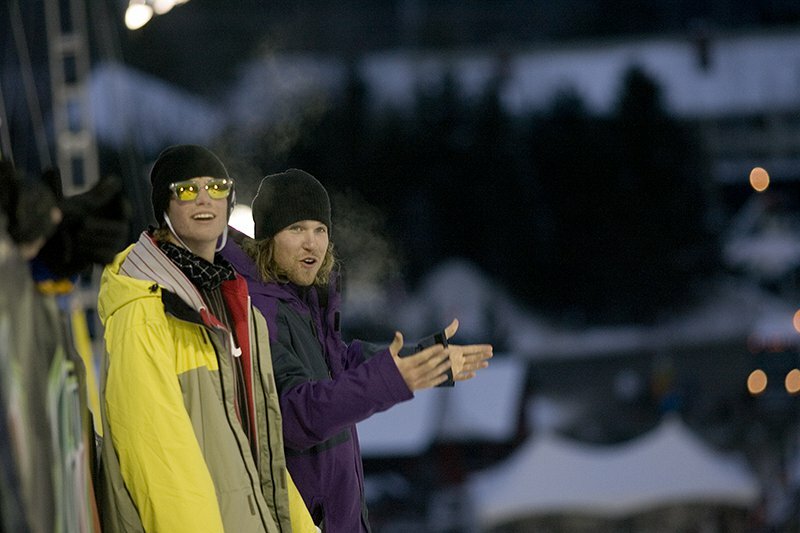 Coming in third was the man himself, Tanner Hall. Word was during practice Mr. Hall overrated a 9, spun a 1260, and landed on his head. A competitor at heart, Tanner bounced back and his second run in the finals was filled with shifties, because well, he's Tanner Hall and he can throw a smooth flat 3 with a grab and then shifty. Style is and will always be the name of T-Hall's game. Coming in second was big bad Justin Dorey, affectionately known as J-Bone, stomping his double on his first hit, and I'd like to emphasize Dorey was STOMPING his double. Mr. Dorey was also stomping a switch 10 in his run, spinning both ways, and showing the Mount Snow crowd why he is one of the best in the game. 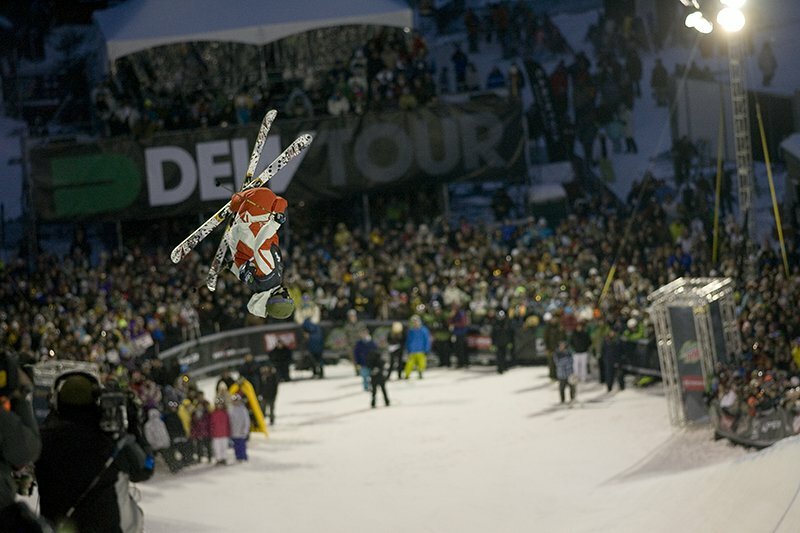 First place belonged to the pipe master Simon Dumont, returning to the top spot on the podium after a short hiatus. 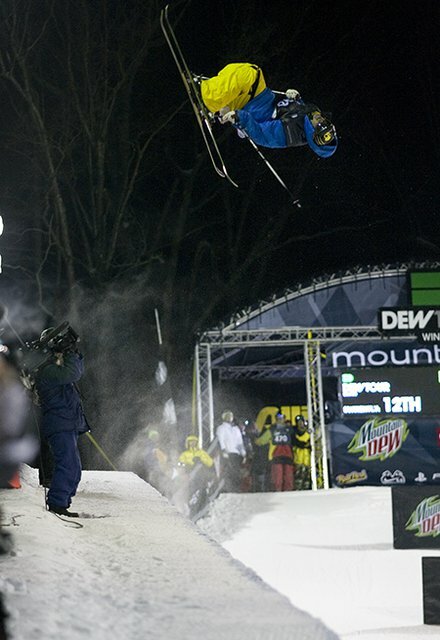 Dumont consistently launched himself into orbit with well executed and fully grabbed tricks which included left and right 9's, a 1260 and a switch 10.With a run that dialed in, Dumont must have a halfpipe in his backyard or something. Sitting atop of the podium with friends and family looking on, The Dumont claimed the win. Other highlights included the kiwi Byron Wells kicking things off with a massive 540. The light weight 'mate kept his speed while spinning 9's in both directions and clearly has a bright future in halfpipe skiing. Taylor Seaton mixed it up with a switch drop in, spinning a smooth 7 on his first hit. Peter Olenick struggled with his Whiskey flips on both runs, landing a bit low in the transition. Also failing to lay down runs were AJ Kemppainen and Matt Philippi. 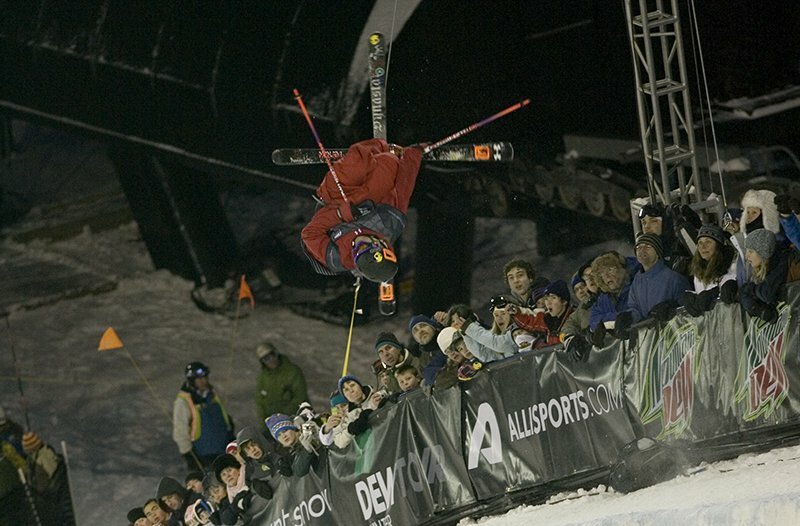 Letting the ski world know he's arrived was Tucker Perkins. Holy smokes, Tucker Perkins. Read this run, digest it, then read it again: Enormous allyoop 540, switch 10, 1260. Every trick grabbed like whoa. Yep, that is a halfpipe run, for sure. And not to be out done was pipe specialist Mike Riddle. Ready for this? First hit switch 10. To be more specific, a very large first hit switch 10. Mike Riddle. Wow. 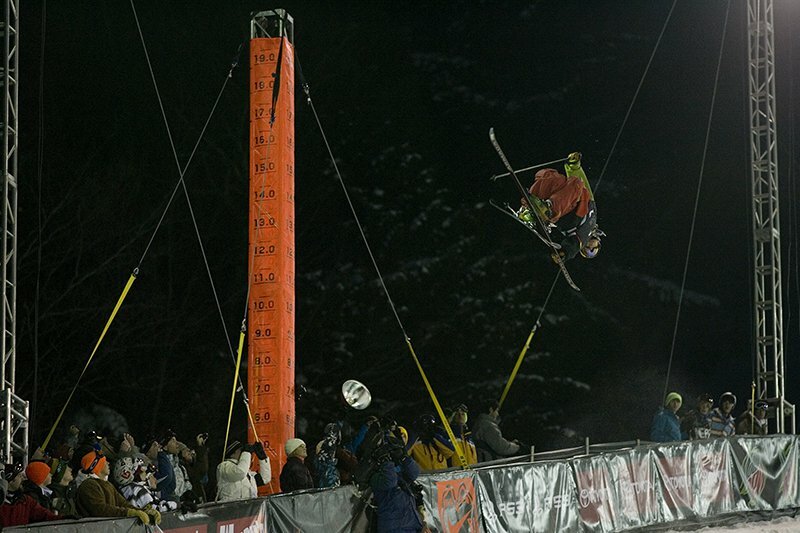 So long from the second stop of the Winter Dew Tour at Mount Snow, Vermont. Stay tuned to NS for coverage of the third and final stop at Northstar-at-Tahoe from February 19th-22nd...and check out the third episode of NSTV below.